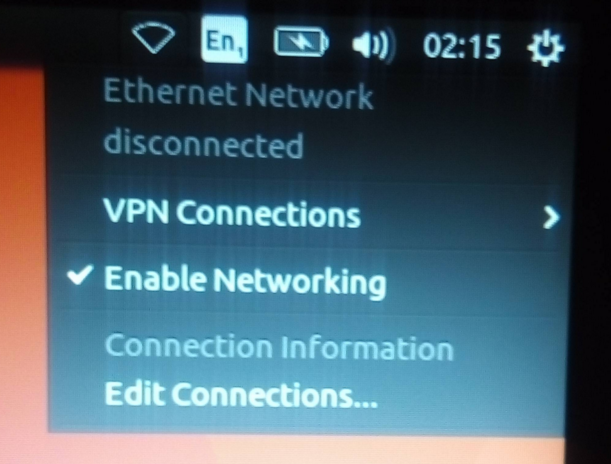 The last thing I tried was setting up a new connection using the "edit connections" button from the image above, and set it to what I could see from my other ubuntu machine over wifi, but I still don't see the option to connect through that anywhere. It appears that the only solution so far is to enter the computer's BIOS and turn off Secure Boot. Reboot. Your wireless should now be working. Connect this computer to Ethernet / an internet connection. go to "Additional Drivers" and install and enable all the options. Not the answer you're looking for? Browse other questions tagged networking broadcom ethernet or ask your own question.